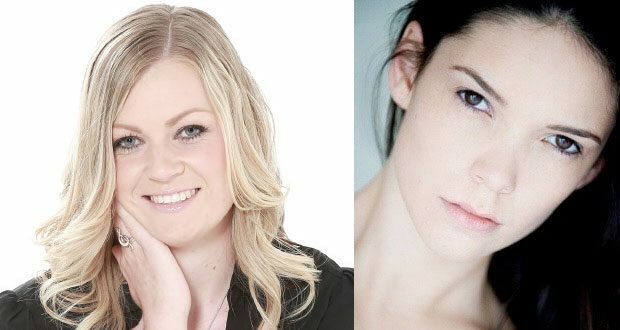 This weekend, classical singers Rianne Graham and Iris Ferwerda are taking over the Swan Hill Regional Art Gallery. On Saturday, 11 August join Rianne and Iris as they entertain with a range of pieces from well known operas and musicals such as The Marriage of Figaro, LesMiserable, Carmen, The Pirates of Penzance, Lakme, Wicked and more. And on Sunday, a vocal masterclass is on offer for anyone with an interest in singing. Ms Graham said the masterclass was for singers of all skill levels. “The class is going to be really comprehensive, so professional singing experience isn’t necessary. “We’ll focus on how to speak and sing safely as well as covering topics like how the voice works, vocal health, projecting the voice, stage presence and getting over those pesky nerves and stage fright. To secure your ticket for the concert, masterclass or both, contact the gallery on 5036 2430. Rianne is a singing and music theory teacher based in the Swan Hill area. She has graduated university with a Bachelor of Music (Classical Voice) and A Graduate Diploma of Education (secondary) and has been teaching since 2014. She has experience in both performing and teaching/coaching as she has been in many stage productions as well as vocal coaching with the Kyenton Theatre Company and the Swan Hill Theatre Group. Iris has a Bachelor of Music majoring in classical voice from the Australian Catholic University. As a singer Iris has been involved with groups such as Opera Scholars Australia, the Melbourne Symphony Orchestra Chorus, Citi Opera, Victorian Youth Opera, Australian Catholic University Choir, the Australian Girls Choir and has also performed on 3MBS. She has also worked as a choral conductor at the Australian Girls Choir, Wattle Park Chapel and Manningham Council in Melbourne. Iris has also pursued formal training in teaching and completed a Masters in Education in 2016. She also completed her AMUSA in classical voice in the same year.